Whether you're looking to redesign your bathroom with an open-concept motif, to increase its functionality by removing a barely-used tub, or to decrease the time you spend scrubbing and scouring, a tub-to-shower conversion might be the bathroom transformation you're looking for. At Bath Planet, we know there are several benefits to discarding your tub and designing your new walk-in shower. Customizable Options: By converting your tub to a walk-in shower, you open up so many possibilities: customizable tiles, a luxurious shower bench, or sophisticated hardware are just some of the options. You can create a shower that reflects your own unique sense of style and matches your bathroom's aesthetic. Functional Use: With an enclosed walk-in shower, you won't have to worry about bunching, mildew-stained shower curtains. You can also install storage shelving that allows you to properly organize your favorite soaps, shampoos, and scrubs—rather than balancing them precariously on the ledge of a tub. Longer Lasting: A walk-in shower utilizes a continuous design that has far fewer parts than your current tub. Fewer parts means fewer opportunities for things to break! Earth-Friendly: You'll use far less water (and your bills will be far lower) if you're taking showers rather than baths. Both the Earth and your wallet stay happy. Easier to Clean: Walk-in showers have fewer crevices for mold, mildew, and moisture to gather. You can also say goodbye to scrubbing unsightly rings of buildup on the bottom of your tub. 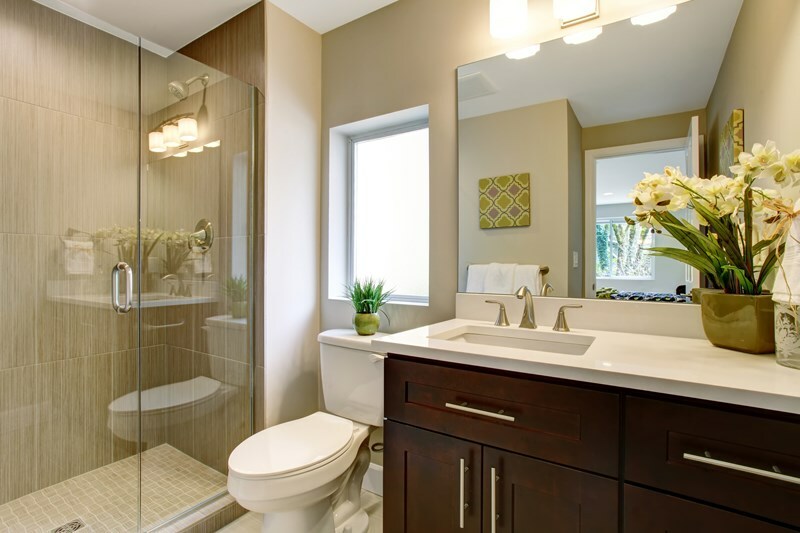 Between plumbing, drainage, hardware, and tiles, bathroom remodeling can seem overwhelming. If you're considering the switch, our Springfield Bathroom Conversion experts can help guide you through the process. We'll help you choose the best, most affordable option to effortlessly convert your current tub into a beautiful and luxurious walk-in oasis.